Seven years ago, a horse called The Tiger, trained by Ed Dunlop, won three times for owner Johnny Weatherby, the chairman of Weatherbys. It was unusual because Weatherby rarely has runners on the Flat; he probably doesn’t really believe in them. 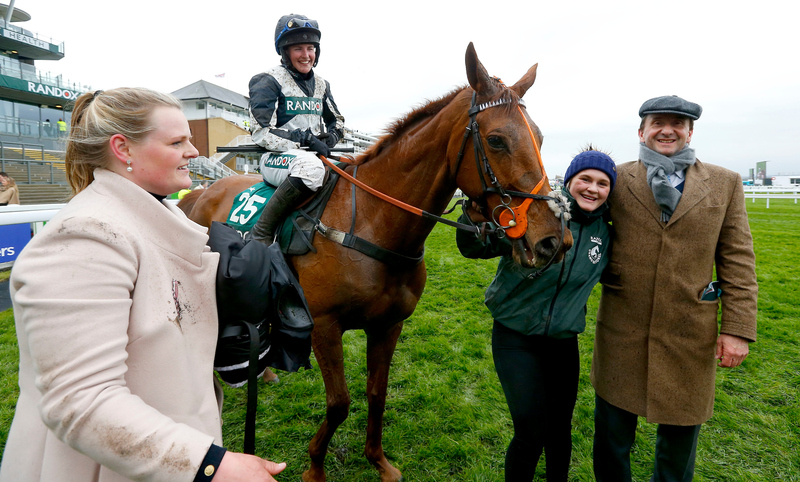 More to his liking was when his colours were carried to victory by Top Wood in last week’s Aintree Foxhunters. It was the second win for Weatherby and for trainer Kelly Morgan inside a week. Four days earlier his Extreme Appeal gave jockey Miss Antonia Peck her first winner on the Flat, in an amateur riders’ race at Doncaster. For Extreme Appeal, it was an unusual career move. The seven-year-old started life in Ireland with David Wachman, racking up eight defeats as a two-year-old and three-year-old before moving to Warren Greatrex to see if he could win over hurdles; he couldn’t. After two tries he moved to Morgan and set off point-to-pointing. Extreme Appeal did better at that, winning four of his eight point-to-points before returning to hurdles (0 from 1) and chases (ditto) this season. Then, in March, after a four-year break, he returned to the Flat, running a respectable fourth over two miles on Lingfield’s Polytrack before triumphing over a strongly run mile and a half at Doncaster. Back in 2012, it was Graham Lee who rode The Tiger to two of his three wins and, fittingly, Lee and Weatherby resume their partnership when Extreme Appeal runs at Newcastle on Thursday (5.30). He has an excellent chance of winning again. Attain’s chance of winning the apprentice handicap at Chelmsford (2.00) is less good but Kate Leahy, hoping for her second success under Rules, will be grateful for the ride on a horse who has given opportunities, success and fun to a lot of people. A certain amount of forgiveness is required in respect of what happened on December 14 2016, after Attain finished third in a seller at Lingfield. It was the then seven-year-old’s 57th run for trainer Julia Feilden, for whom he had won seven times since making his debut as a three-year-old in 2012. If you run a horse in a seller . . . Archie Watson claimed Attain for £6,000 and off he trotted to Lambourn, where he has continued in the same modest but reliable way, a particular joy for amateur and apprentice riders. After winning six times for Watson and with 106 appearances to his name, Attain’s career earnings still total less than £63,000. You know what you are getting, a horse never rated higher than 73 nor lower than 51. A stable stalwart and a familiar name. One of those many unsung minor equine heroes. More attention will be focussed on the 3.35, when Aidan O’Brien has his first runners at Chelmsford. It is Louisville that has lured him, for the winner of the Woodford Reserve Cardinal Stakes automatically qualifies for a place in the Kentucky Derby. Seamie Heffernan makes his debut at Chelmsford on Antilles but U S S Michigan, ridden by Ryan Moore, is the stable's principal hope.